A video on Facebook reminded me today of the most dangerous tool most of us have in our homes – and one so common it’s often overlooked completely – ladders. According to OSHA, the most common tool-related accidents involve ladders, accounting for more than 38% of all construction accidents. 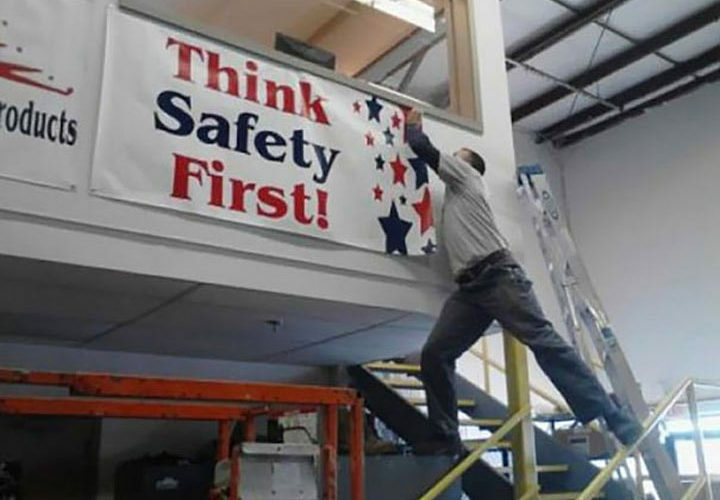 Each year, more than 164,000 emergency room visits are from ladder-related injuries and more than 300 deaths happen in America because of improper ladder use. Finally, most ladder-related deaths happen under 10 feet – If you’re 6 feet tall and simply use the third rung of a step ladder your head is 9 feet above ground. Ladders are a necessity on a job-site and, properly used, indispensable at home. If you’re using any ladder for the first time, make sure to read the instructions and warnings before using it. Here’s a great video showing the proper way to use both step ladders and extension ladders. Finally, if you find you don’t have the proper equipment, the proper know-how or are uncomfortable with doing it, call a professional to do the project for you.